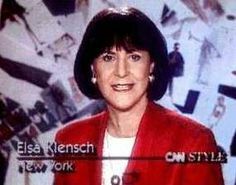 Back in the Time Before Internet, all we had was Vogue and Style with Elsa Klensch on CNN Weekend. Watching the shows almost as they happen was not a thing (unless you’re actually at the show, which lets be real, I’m never going to be). You saw what an editor wanted you to see, what buyers wanted you buy, and experimental looks coming out of Parsons or weird Eastern European designers were not included in the diet. I love you forever Elsa. By the way you can– and should– watch old Style episodes. It’s all Linda Evangelista and bonkers early 1990’s fashion. But now you can see what’s going down the runway RIGHT NOW using apps like Vogue Runway and HEED. If you’re trapped in a waiting room or interminable meeting, you can slyly swipe through the new collections. It’s like the best thing ever. In case you have actual work to do and just want a summary of what’s coming down the fashion tube, I’ve done the work for you. You’re welcome. Previous Post Moms still like to party yo. And no one more so than public defenders. PD prom is happening. And yes I went into HOT TOPIC for the horns.